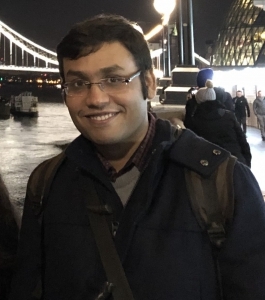 Suryoday Prodhan earned a PhD in Theoretical and Computational Chemistry from the Indian Institute of Science, Bangalore in September 2017, working under the supervision of Prof. S. Ramasesha. Afterwards, he spent six months also as a research scholar in the group. His work primarily focused on extensive studies of conjugated organic systems within long-range strongly correlated models like the Hubbard and Pariser-Parr-Pople models employing diverse numerical techniques. He joined as a post-doctoral research scholar at the University of Mons in April 2018. His current research interests include charge-transport in organic conjugated systems and hetero-structures as well as development of advanced numerical techniques and algorithms for study of organic systems in condensed phase.